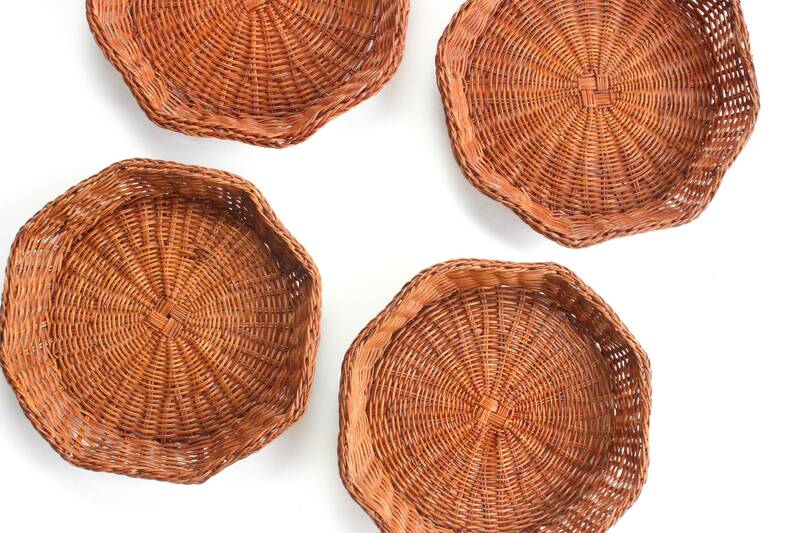 Set of 4 - Vintage wicker plate chargers. 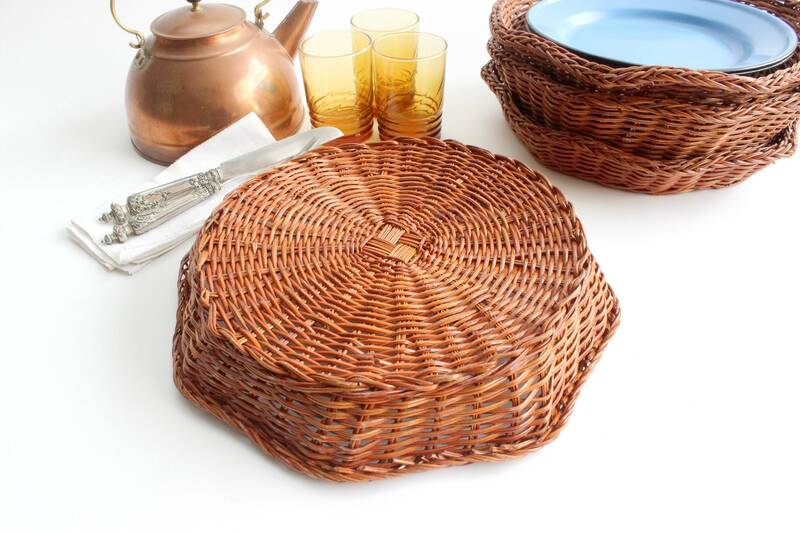 Natural woven plate holders. 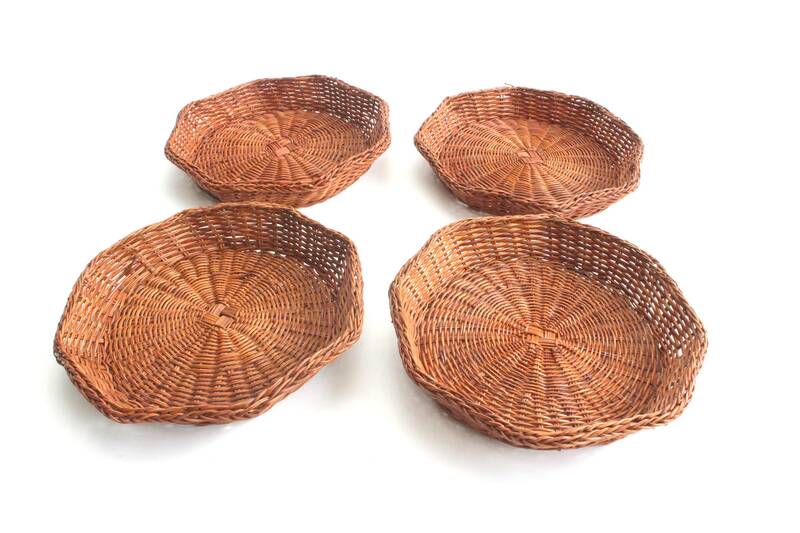 Shallow octagon/round shaped baskets for holding plates. Medium brown in color. 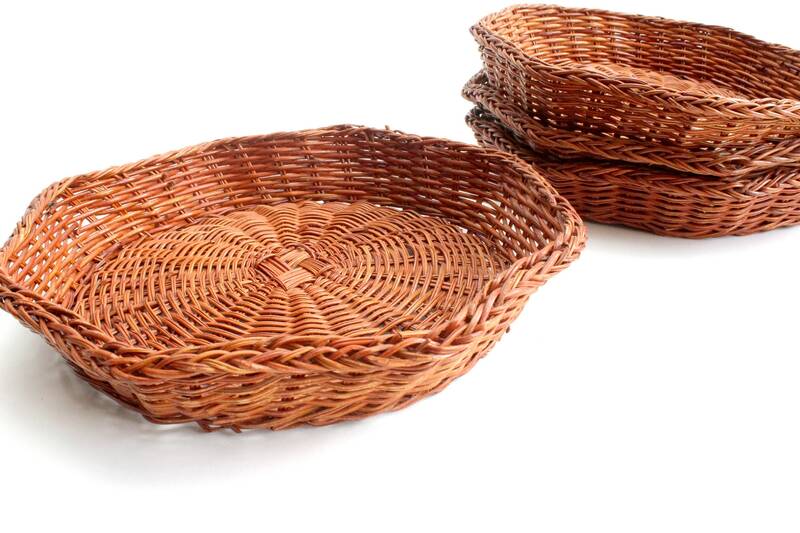 Each basket is sturdy enough to hold a real glass or porcelain plate. 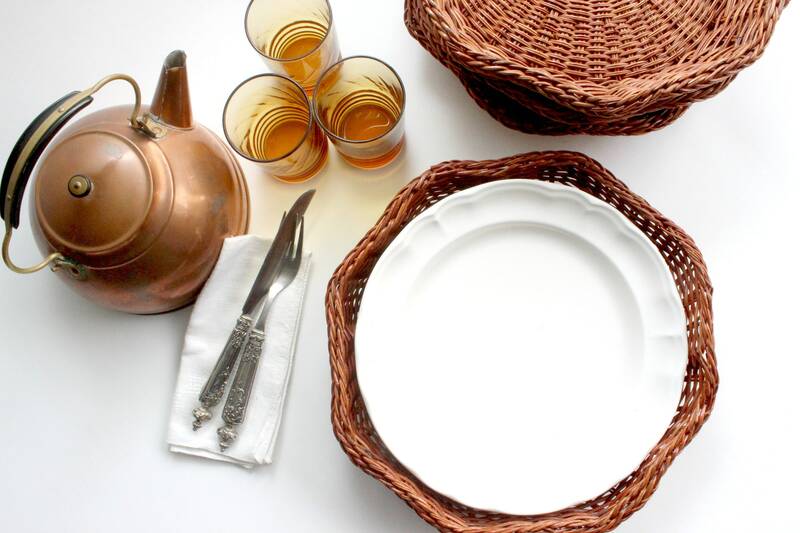 These make a great addition to any table setting and are perfect for dining outdoors! 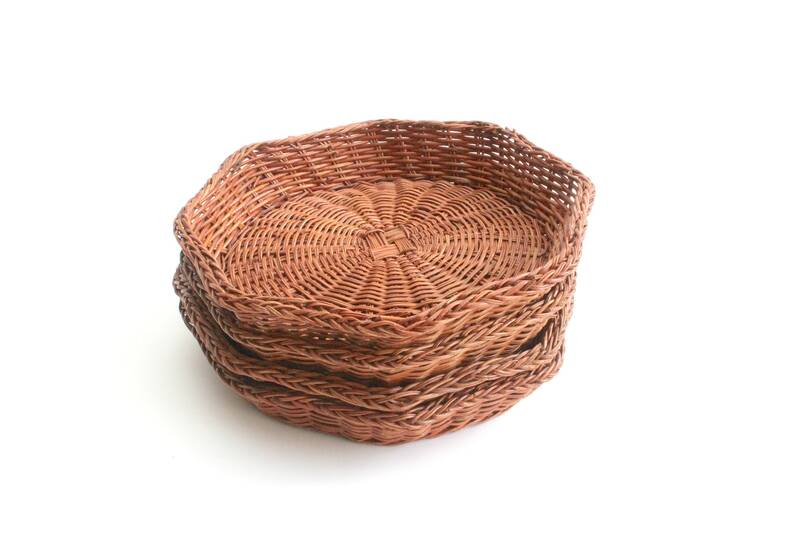 Measures 12 inches across and 2.25 inches tall.